Take your retail business a notch higher with Nukkad Shops retail POS software (Point of sale). Nukkad Shops software is integrated with a host of features such as inventory management, billing, a mobile storefront, loyalty programs. Nukkad Shops come with the inbuilt printer and dual display making it one of the best retail POS system. NukkadShops is a Hyderabad based hyperlocal commerce platform. With an aim to help small retail stores take their business online, the platform has offered an array of billing and point of sale machines to the neighborhood mom-and-pop retail stores. NukkadShops offers a high-end system to the small general store to help them compete against mega-marts and supermarkets. 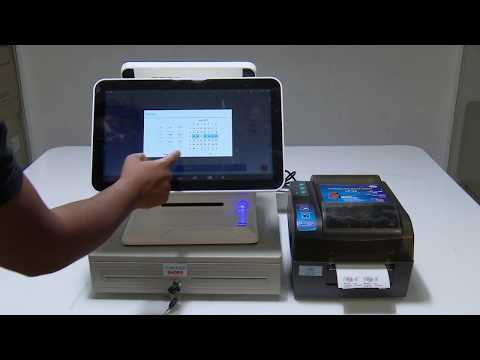 Point of sale comprises of a 10-inch tablet, with an in-built thermal printer, cash drawer and barcode scanner. The software is compatible with iOS and Android based mobile devices. This solution helps the shopkeepers to digitize their inventory and products available in their shops. This company is associated with more than 180 stores serving 20,000 users. Further NukkadShops plan to provide online booking of bus tickets in the future. Streamline billing process, generate physical or e-receipts and manage cash. Generate bill for every transaction. With Nukkad Shops POS Solution you can take your store online in no time. Create a Mobile Store Front and sell online instantly. Based on store’s purchase and sales data the POS offers multiple sales and financial reports as well as projections. The Point of Sale provides deep analytics around your customers, allows you to create cohorts and run targeted marketing campaigns. Nukkad Shops Point of Sale Software can work simultaneously across multiple counters. Enable loyalty program for your store. Connect with your customers at an emotive level, offer more value and improve your customer retention. The POS software is smart for a reason ! The POS provides up-sell and cross-sell suggestions based on buyer behavior and previous purchases. Smart POS keeps you informed about inventory levels, get alerts before items run out, allows to create Purchase order & Goods receiving notes.